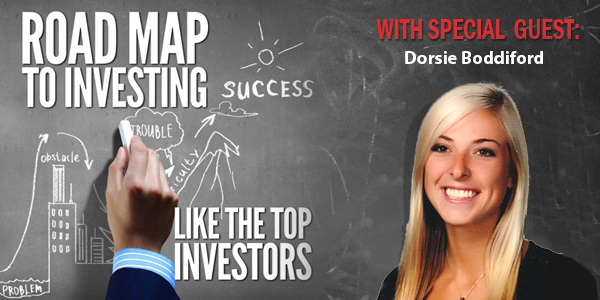 Enjoy this week’s episode with Dorsie Boddiford as we dive deep into investing with Solo 401k plans. How wrap around financing works and why you want to learn this strategy! Dorsie Boddiford is a full-time real estate investor in the Atlanta area. Upon graduating from Georgia Tech in 2011 with a degree in Building Construction, she took the risk to become a full-time, real estate investing entrepreneur and purchased her first house. She has built a business out of flipping houses while striving towards financial freedom with investments. She has renovated and flipped a wide variety of homes, from a 1890s cottage in a historic neighborhood to a 5 acre horse farm. Dorsie believes that real estate investing is hands-on, and you can find her many days working alongside her contractors at a flip or rental property. The key is finding the balance between how to manage your time wisely while gaining the respect of your contractors, tenants, and fellow investors. As a young woman in the real estate investment realm, Dorsie is doing just that. 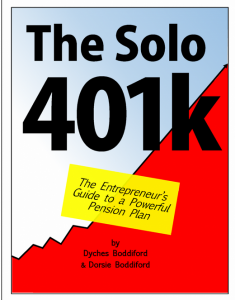 Dorsie’s investments also include a focus on wealth building through retirement accounts as expressed in her recently released book “The Solo 401k: The Entrepreneur’s Guide to a Powerful Pension Plan” that she co-wrote with her father, Dyches Boddiford. Becoming an active investor was no easy task, but Dorsie has no regrets with her real estate career. She enjoys helping and encouraging other new investors who are eager to begin their journey out of the rat race. Her early successes have made her appreciate the power of working for herself. Excellent information! Dorsie is wise way beyond her years! You are so right Danny!!! She had the best teacher availble, right?